Have you heard of Galentine’s Day? 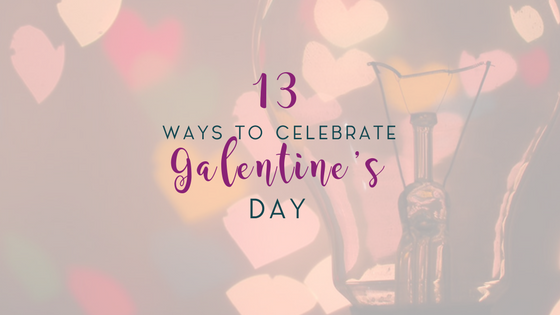 Galentine’s Day is celebrated on February 13th and is a pop culture event. If you are not familiar with the TV show Parks and Rec then you most likely don’t know what Galentine’s Day is. That’s totally okay! But I want to let you in on a little secret…I’ve been celebrating my own version of Galentine’s Day my whole life. You see, sisterhood has always been my thing and I probably had more fun planning fun Valentine’s Day things with my girlfriends than being romantic. Hearts are my absolute favorite and so is celebrating friendship. 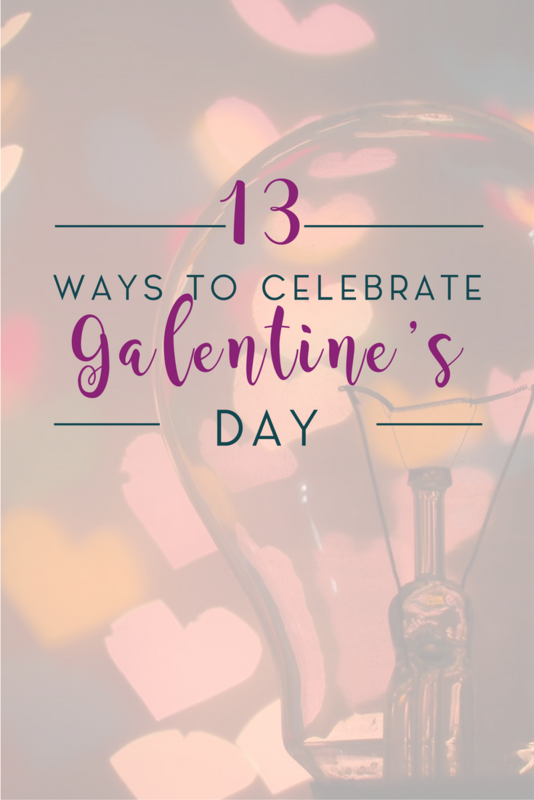 So, here are my top ways of celebrating Galentine’s Day. Once, I spent 4 hours at a Denny’s making Valentine’s Cards with my best friend just because! Tap into your creativity and make home made Galentine’s Day Cards! When I was 16, I hosted a soiree with my best friend. We spent the day making Valentine’s inspired food and drinks and hanging out with each other! When I first started blogging, I made all of my blog friends through commenting and – swap boxes! One of my favorite bloggers to follow did a monthly box swap where you would be randomly paired with someone. You’d spend a week or two getting to know each other and then send each other gift boxes. Most were themed and almost all of the girls I met through the swap boxes are still friends today! (5 years later!) That’s why I decided to host a Galentine’s Day Swap Box! You can click here for more details! Sign ups close January 22 🙂 p.s. everyone who signs up gets 1 month free to Uplevel Your Sisterhood, my membership community! Pick a foreign country or a cruise destination and go for it! Duh, this one seems like a go-to for a good time! When your besties live far, it’s hard to celebrate Galentine’s Day and, even, to feel not alone. But, you can still do some fun things together with the help of modern technology! Pop on Netflix, grab your webcam, FaceTime or whathaveyou, and enjoy! Don’t forget the popcorn. Sharing hobbies is one of the reasons you became friends anyway, right? Adventure is amazing, especially with your girls. I always find that we have the best conversations and learn the most about ourselves when we go on a hike. Don’t forget to pack some bubbly for the picnic! GIRL! Galentine’s Day is made for the spa with your besties. Facials, massages, mud baths and mani-pedis are exactly what you need to fill your soul and your physical self-care needs! This is probably my favorite form of self-care. Grab your partner in crime and find your favorite band and go! It doesn’t have to be a big concert, either. I often have the best times at smaller venues with bands that I hardly know (but are in my favorite genre). Getting matching or corresponding tattoos is so much fun! I actually have quite a few tattoos that go with other people, including a diamond on my big toe with my best friend! If you do decide to get a tattoo, do some research on the place that you go and what you’re getting! I’ve gotten same-day tattoos before, but if it’s your first tattoo, you probably should make sure there’s a lot of thought into it! And if it’s not for you, I get it, you might not be into the idea of forever with tattoos. If you want a great temporary tattoo, check out Soul Stamps. I got some on Black Friday and absolutely love them! 13 // Send Galentine’s Day cards! Making and sending Valentine’s Day cards to your friends and classmates was so IMPORTANT when you were a kid. So why don’t you tap into your inner child and send your friends sweet little notes? Snail mail isn’t what it used to be, but there’s something fulfilling about tapping into it. I designed 8 cards that you can cut out for Galentine’s Day just like we used to do when we were young! Grab them by clicking the image below! Hey girlfriend! Thanks so much for popping by! Have some feedback you’d love to share? Leave a comment below or let us know in the Sanctuary!